Since im 18 I have a dream: Travelling once from Patagonia to Alaska in an old ’69 Volkswagen beetle. This dream is going to become true. By the end of 2018 I am going reduce my stuff even more and head over to South America to start the journey of my life. Stay tuned for my next big andventure! Do you want to know more about my lifestyle? Want a room tour of my car? Check out this video interview by Lars with Howtube. 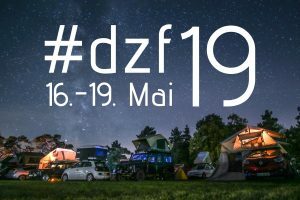 See you at world’s biggest ROOFTOP TENT FESTIVAL from June 21th to 24th at Freizeitpark Mammut in Stadtoldendorf! Save your ticket here!